Complete packages starting at only $1195. We also offer Small Wedding Packages for weddings in the Lee, Collier, and Charlotte county areas only. These packages include Photography and a DVD of your images with print rights for the Bride and Groom. All proofs are posted online for viewing and purchase. 2 hours of Photo Booth fun, Unlimited pictures, Online gallery of all pictures, DVD of all pictures. 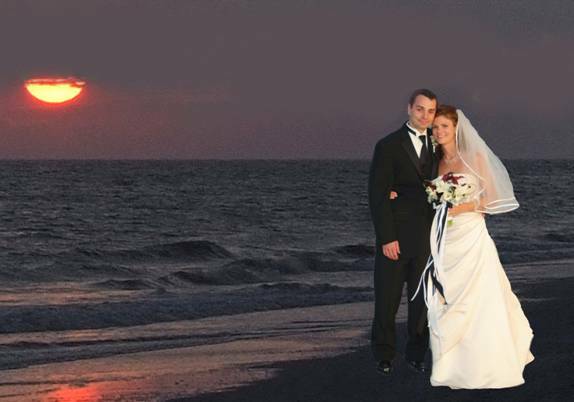 Your guests select their background, are photographed in front of a green screen. Their photo is then superimposed onto the background they selected and they receive a 5X7 print on-site. Many sizes and types of albums are available in addition to those listed above. We would be happy to help you choose the one that is just right for you.